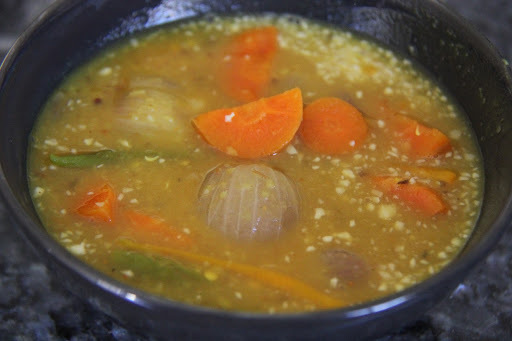 Sambar is a south Indian Lentil based stew made with tamarind and vegetables stewed together and tempered with Indian spices,served with Rice or Idli. 1. 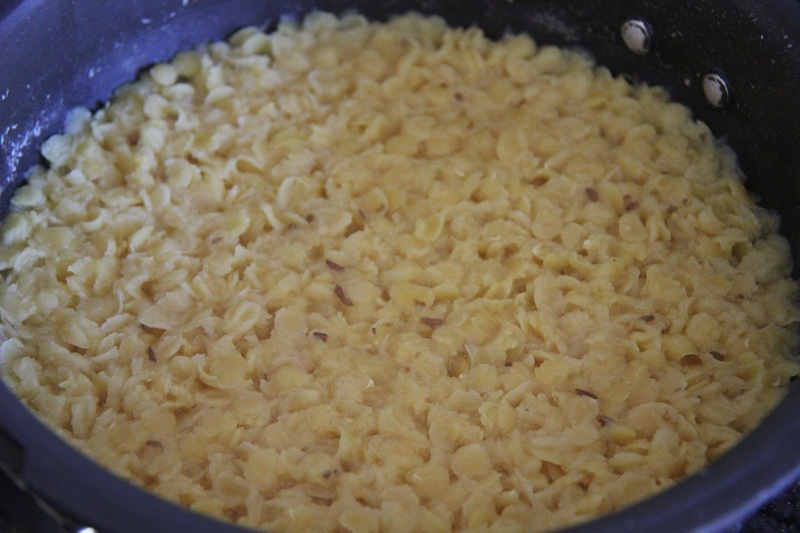 Pressure cook dal with 2 cups of water and keep aside. 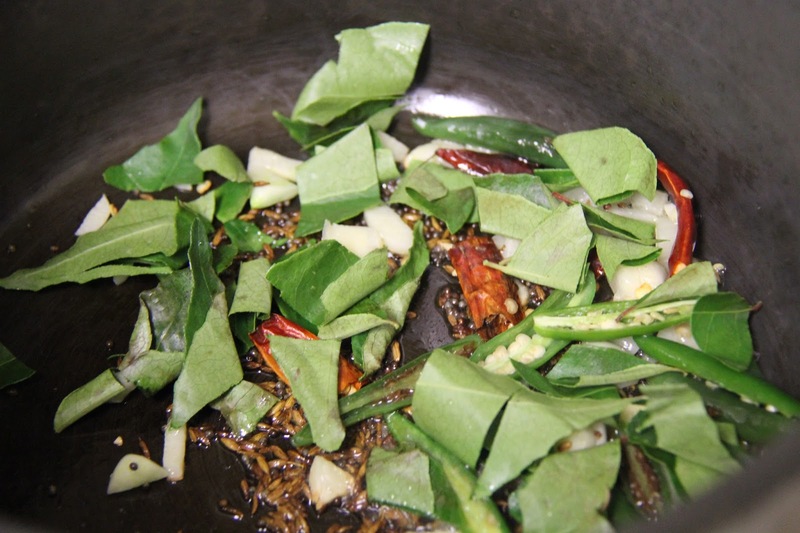 2.In a bigger pressure cooker heat the oil and temper it with mustard seeds, cumin seeds. Once they begin to splutter add garlic and curry leaves and let splutter. Add the green chili and red chili and let fry for 1/2 minute. 3.Add 4 cups of water, mashed dal, vegetable pieces, tamarind, salt,sugar, sambar powder, turmeric powder and mix well. Once it comes to a boil, adjust tanginess and salt,if you need more spice you can add red chili powder. 4. Cover the lid and pressure cook for 3 whistles, After removing the lid add the coconut and garnish with fresh coriander leaves. Serve with rice and papadum or serve with breakfast tiffins like dosa ,idli etc. You can also add okra,eggplant,drumstick,potato,cauliflower,broccoli,beetroot etc to the sambar,they all taste fine with the lentils.